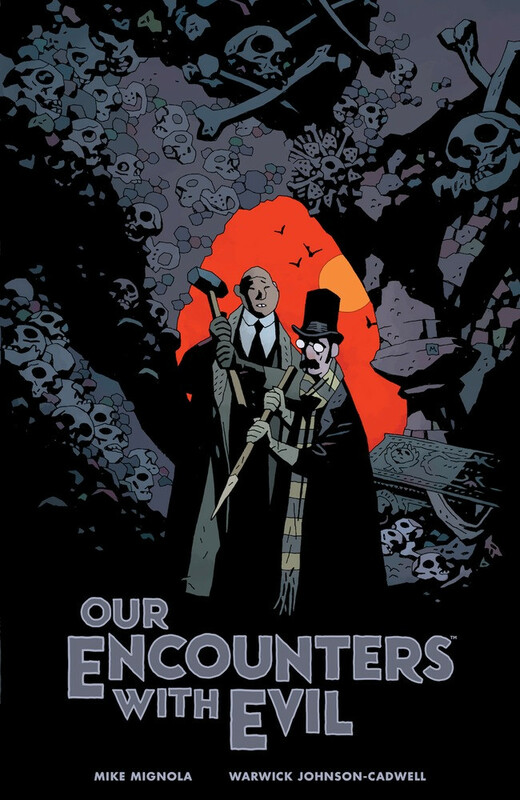 Dark Horse Comics will release OUR ENCOUNTERS WITH EVIL: ADVENTURES OF PROFESSOR J.T. MEINHARDT AND HIS ASSISTANT MR. KNOX as a hardcover graphic novel in comic shops on October 9 and in bookstores on October 22. This October, fans can grab some garlic and silver bullets, and settle in for an endearingly terrifying tale, chock full of the occult and adventure. For more information about OUR ENCOUNTERS WITH EVIL: ADVENTURES OF PROFESSOR J.T. MEINHARDT AND HIS ASSISTANT MR. KNOX, follow Dark Horse Comics on Twitter, Facebook and Instagram.